As I’m typing, my chin *may* have just gone up a fraction of an inch. Friends, I’m shedding the shame. Right here…right now on this blog post. I’m not going to feel guilty about who I am, or what I bring to the table. And you know what…if you’re an overachieving teacher like me…neither should you. The trouble is…when you’re an overachiever, you sometimes have to learn that not everyone appreciates your energy. It makes people uncomfortable. When you are an overachiever, you have to learn that sometimes the way people respond to you is more about them, and less about you. I didn’t always identify as an overachiever. I find that it’s a label that people PUT on you. It also comes with other less inflammatory adjectives like passionate, intense, intimidating. Can I just tell you…coming to terms with who I am was like going through the five stages of grief? After awhile, I was so depressed, I changed grades…and I’d say in the last 4 years, I’ve come to accept it…and now…I embrace and celebrate it. An overachieving teachers reception by colleagues can sometimes be less than supportive. So, let’s talk about some of those reactions. 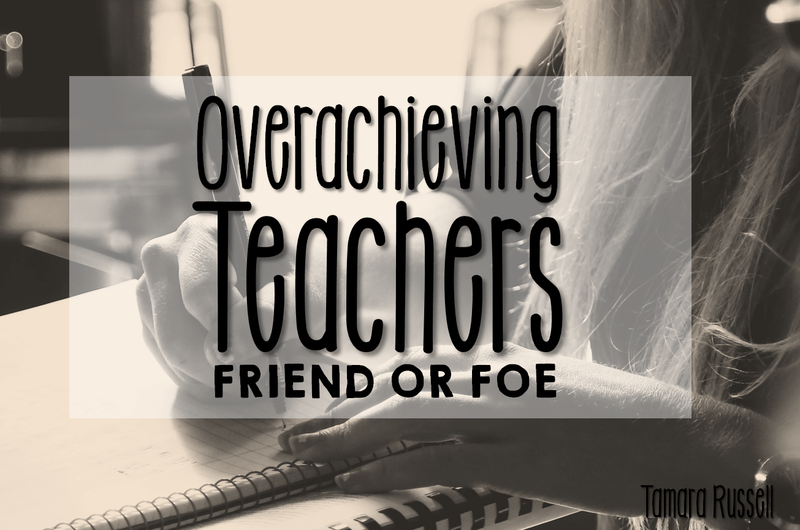 Sometimes, teachers who are met with an overachieving teacher are filled with anxiety. They feel like they can’t keep up with the constant energy and ideas. They are the ones who tell you that you stress them out. They often look pained when you start talking about something you are doing. This one is tough to share, but it is true. Some teachers look at all the things that you can do and they feel like they can’t keep up. It’s hurtful and hard. It’s not intentional, but…it happens. They see all the things you do, compare themselves and only see what they lack. You may hear things like…well I have kids, so…I can’t do all the things you do. These teachers are the ones who think you have no life. If you did have one…you would spend it on other more important things like hobbies, trips, whatever THEY prioritize. Teachers who struggle with this feeling will either shut down around you, or become angry. These are the worst. They take your ideas and share them as their own. They talk about you behind your back. They always try to ‘one up’ every idea you bring to the table. They run to administration about you constantly. These people will quicker gut you than any of the others. Every idea you share actually makes them irritated. At least the other two types, you might win over in time…this person…they can’t be won over…they are just endured. This is the reaction that brings tears to my eyes, even as I type this. Sometimes, when you are given the mantle of ‘overachiever’ you end up being alone. Not because you want to, but, because you realize that the people around you aren’t in a position to change, or are unwilling. You share an idea and someone says, ‘Yeah…no one has time for that.’ Or…’That’s too hard.’ You leave feeling like an idiot. Then..it happens…someone comes into your room and says, ‘I liked that idea. Could you explain that more?’ Or…they say…would you mind planning with me? So that I can stay on pace with you and share ideas? I can honestly tell you that I never dreamed that I’d be someone that inspires people. I just love authentic, transparent, intentional relationships. If you are that overachieving teacher, you need to wait for that moment. To be seen. There is nothing more powerful. These people…they are your tribe. They are out there. I promise! You are so valuable to this profession. You bring ideas. You bring energy. You bring passion for the craft in a season that is difficult. When others are throwing up their hands and leaving…we’re staying longer hours trying to figure out how to manage it all. Don’t let anyone take your shine! Don’t let anyone make you feel like less because you love this job and you’d do anything to see your kids learn and grow. 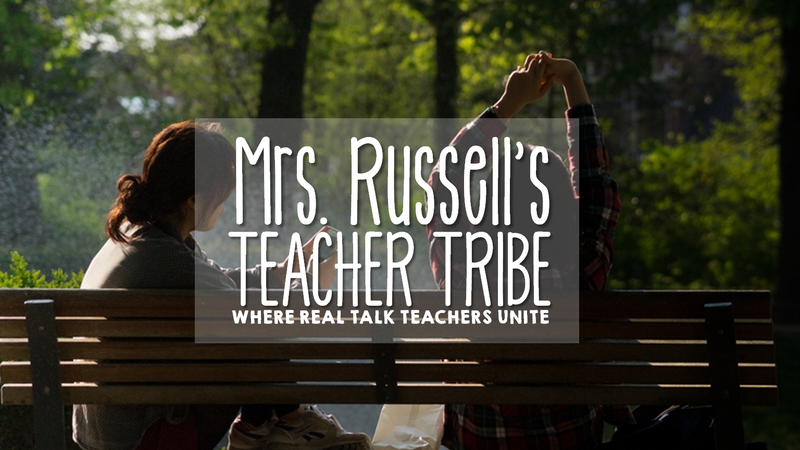 So…if you’re looking to find some positive educators that are overachieving just like you, consider joining my Facebook group for teachers! 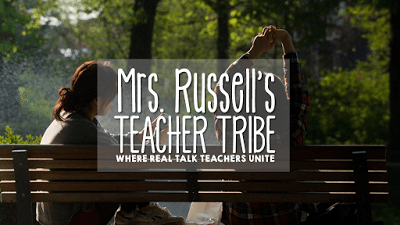 I’m looking for teachers who love this job and are looking to find other teachers who are still in love with it. If that’s you, then, please join us!